The seeds planted 50 years ago in Mississippi during Freedom Summer are in full bloom. The children of 1964 — who are now leaders — are positioned to energize this generation of young voters of color and progressive voters for a historic turnout in the midterm election. By taking advantage of 21st Century demographic data to identify, micro-target and energize voters they can usher in the Freedom Fall of 2014 to make a difference in city halls, state capitols and the U.S. Congress. Volunteer on Election Day to help others vote. Background: The stakes are high. All 435 seats in the U.S. House of Representatives, over 35 of the 100 seats in the U.S. Senate, over 35 state and territorial governorships, over 45 state legislatures, numerous state and local races, as well as various ballot initiatives will be contested. Yet following the Shelby decision and the new voter ID laws that were passed, there is great concern about the impact that these attacks will have on access to the ballot box for voters who have historically been underrepresented. Especially for voters of color, women, youth, the elderly and voters with disabilities. Case: Take Ohio for example where the Secretary of State has constantly pushed for policies that restrict the voting options that are the most popular and effective for people of color. This includes early voting, weekend voting, and same day voter registration. Impact on Election 2014: People of color “vote early” twice the rate of other voters and regularly participate in “Take Your Soul to the Poll” early vote programs on weekends. These strategies energized voters of color and progressives in past elections — making the difference in races for Governor and Senate. Arguably, the new restrictive voting laws in places like Ohio will affect the voters that had the most impact — Cuyahoga County. In the 2006 midterm, voters from that county represented 12% of the vote share and voters of color made up 14% of the electorate. The Political Landscape: Concerned about the impact that the Shelby decision will have on access to the ballot box this fall, several civil, human and women rights organizations of all types from all over the country came together to power up for the midterm election. On July 2, which was the 50th anniversary of the enactment of the Civil Rights Act, these organizations embraced the first step of the “Get Active” framework and launched a national, non-partisan Power Check Day to encourage voters to verify their voting status. By embracing the cross-platform social media model, they also spoke out on issues like voting rights, women’s health, immigration, workers’ rights, marriage equality, health care, public education and other high-priority issues. They even posted “selfies” holding up three fingers for the three steps in Get Active. Participating organizations included the National Coalition on Black Civic Participation, American Association of University Women, Election Protection, American Federation of Teachers, Labor Council for Latin American Advancement, National Gay and Lesbian Task Force Action Fund, United States Hispanic Leadership Institute, Unidad Solutions, Rock the Vote, Long Distance Voter, The Leadership Conference, and Get Active 123. Here are the results: The hashtag #GA123 was the centerpiece of Power Check, which recorded 5,035,716 impacts on July 2 with a reach of 1,562,408 and 3,556 followers per contributor. 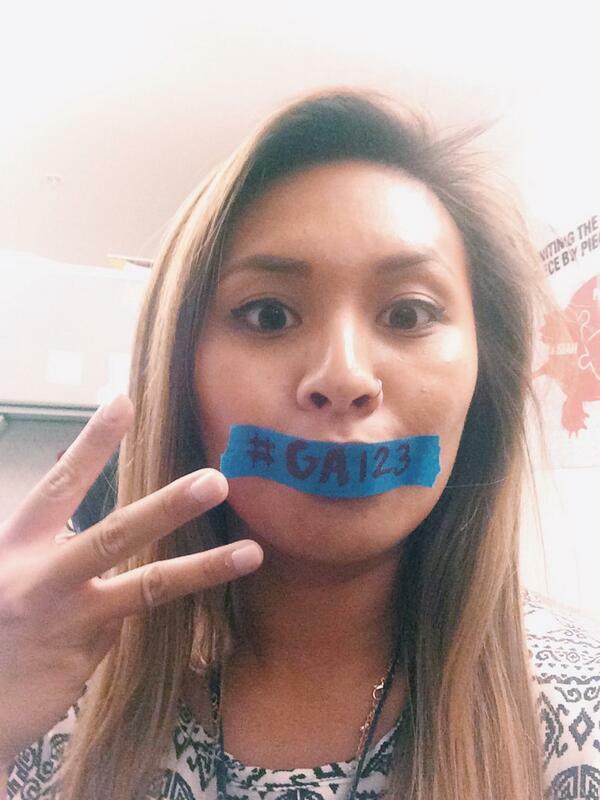 #GA123 tweets were retweeted 406 times. For the May 20th primary election day the hashtag was also used by voters in many states, generating 244,735 impressions with a reach of 120,903. On that day we recorded 67 tweets retweeted 26 times and 3,556 followers per contributor. Wrap-up: What does the recent turnout for the primaries and participation in the July 2 Power Check Day say about civic participation 50 years later following the Freedom Summer? Is there a way to keep voters of color and progressive voter turnout consistent? Yes! We have to honor the past and activate the future. Our goal should be to increase the civic participation rate of voters of color by 3-5% for the 2014 midterm election. We can do this by tapping the power and reach of the progressive community’s capacity to mobilize voters who have historically been underrepresented at the polls. We have to invest in early vote efforts that target voters who are at risk of being disenfranchised. The truth is that we have come a long way since 1964. In order for the children of Freedom Summer 1964 to be the leaders of Freedom Fall 2014 we must all have the courage to organize for our future–NOW.